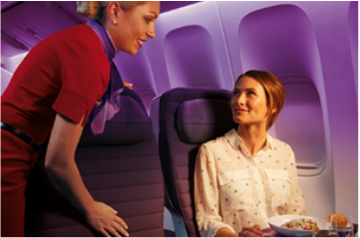 You don’t have to suffer through a long flight crammed in a cabin that is 3-4-3 across seating and hardly enough leg room for a child. There is an alternative and we can show you what an incredible value it can be. U.S. carriers do not offer a quality economy product – it's as simple as that. 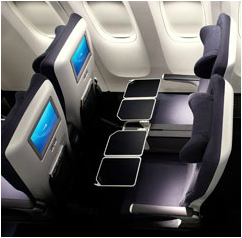 It’s the international air carriers that value the economy traveler and they have upped the game when introducing what is known as Premium Economy Seating. 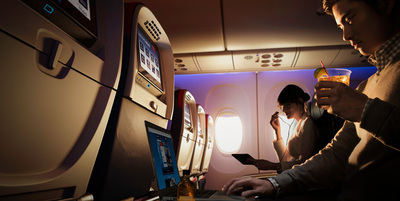 Many airlines offer premium economy as an option. Get on board now. Overall a better flying experience. 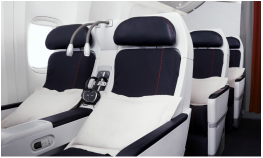 Check out some of the carriers offering a true Premium Economy experience and ask us for a quote today. 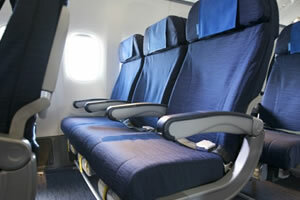 Don't be fooled by U.S. airlines 'more leg room' offerings - that is not premium economy. Fly via Hong Kong from New York, Boston, Chicago, Los Angeles, San Francisco and Vancouver. Traditional Asian hospitalty. ﻿Fly via Paris from Houston, Atlanta, Miami, New York, Washington, Chicago, Detroit, Los Angeles, San Francisco, Seattle, Boston. French style. Travel in Kiwi comfort from Houston, Los Angeles, San Francisco and Vancouver as well as Honolulu to Auckland throughout the South Pacific. ﻿Via London and Manchester from Houston, Dallas/Ft. Worth, Miami, Atlanta, Chicago, New York, Washington, Newark, Los Angeles, San Francisco, Phoenix, Austin, San Jose, Seattle, Tampa and Orlando. The original premium economy cabin! US West coast nonstop to Sydney and Melbourne with connections from throughout the U.S., Mexico, Canada and most of Australia. 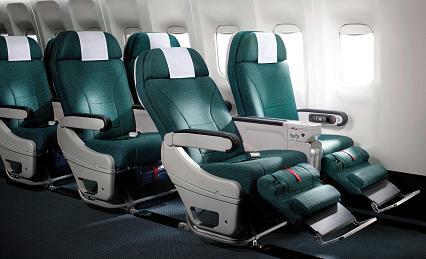 Ask us about Premium Economy aboard Alitalia, Air France, Virgin Atlantic, British Airways, SAS, Thai Airways, Eva Airways, Qantas Airways, Japan Airlines, all Nippon Airlines, V Australia, Air New Zealand, Air Canada, Turkish Airlines, Lot Polish Airlines, Lufthansa German Airlines and Cathay Pacific.